1. Do you have any suggestions for necklaces? I need some simple ones to wear everyday and then some more statement pieces to wear with simple sweaters. I like some that are longer to layer with simple necklaces and then some bigger ones to wear alone. I would love to see what you guys suggest! Meggan: Two everyday necklaces I have are this milkyway one and this love one – I always get so many compliments on both! A few others I love are here, here, here (good for layering), and here (I’m not into HUGE statement necklaces and this one is a good in between). Brooke: I have several delicate necklaces that I wear a lot – this one (with my kids’ initials), this one (this is the one I’ve been wearing recently), and I’m still working on getting this one untangled lol! Some more statement style/bigger ones to wear alone I’m loving: this long pendant (could layer with shorter necklaces as well! ), this one (not big, but longer and so so cute so had to include),and this one. 2. I know both of your families and potentially in-laws live in different cities than you. Similarly, my boyfriend and I live together while both of our families live in different states. With the holidays here, I wanted to ask how you girls decide to handle splitting the holidays and any advice you have on the topic? Brooke: I feel like it changes every year for us. Some years we’ve done Thanksgiving with friends instead of family, but last year both of our families came for Thanksgiving and it was so much fun. When we were first married we did Christmas with both families and traveled to both places, but after having kids that’s just too much. Typically my husband’s parents come here before Christmas, then we travel to see my family the day after Christmas. There’s no easy way to go about it when you live far from both of your families and they live far from each other, but we make it work for us. You could try switching off holidays – for example, visit his family for Thanksgiving and yours for Christmas, then switch next year. I’m always so jealous of people who live close to their parents and/or in-laws, it seems so much easier, but I’m thankful for the time we do spend with our families! Meggan: Kyle’s family lives in Dallas and my family is in Iowa so we are definitely going to have to get on a schedule. My parents are really flexible with holidays which makes it easier – last year we stayed in Dallas for both holidays since we just moved and my parents wanted to come visit us. This year we’re going to my parents for Thanksgiving and staying in Dallas for Christmas but my family is going to come down and celebrate with us at some point. My aunt who I’m super close with (she’s only 6 years older then me and has two boys – one is Cam’s age) lives in Des Moines and goes back to our hometown for holidays. So we want to be on the same holiday schedule as her so the boys can see each other. Now I’m rambling but I agree with Brooke on switching holidays. I know it’s hard and no one wants to miss holidays with their family but that would be the easiest. Or you could try to host both families for a holiday, that would be fun! 3. With the holidays coming up, I’m looking for a great pair of joggers. There are SO many to choose from (cashmere, with zippers, etc etc) and I’m a little overwhelmed. I’m looking for your favorite basic pair for lounging or errands. Brooke: I have this pair and they are sooo comfortable, but there are SO many amazing options right now, I want a new pair for the holidays, too! Loving this pair, these (look great with actual outfits, I’ve seen them on! ), and this amazing velvet pair (on sale til tomorrow!)! 4. Do you ladies have any tips on working from home? I just started a job where I can work remotely and any tips would be greatly appreciated! Meggan: Somedays I’m really good about being productive and other days I’m all over the place doing a million things at once. I think it’s really important to set a schedule and make to-do list like you would in an office to keep you on track. I make two lists – a personal one and a work one, and I dedicate time to get things done on both lists. Having my own office space helps me be more productive too. In Chicago I didn’t have a space which made me feel all over the place and less productive. Also, I think leaving the house once a day helps too (grab a coffee or whatever) so you aren’t feeling bottled up in the house all day long. Brooke: I’m with Meggan – some days I’m totally on, and others, I’m getting caught up in everything else – household tasks, kids, etc. The best thing to do is make a list (physically write it down), create a home office (if you don’t have one already), and stay in your office as much as you can for the “working hours.” The more you get up to do things, the less productive you’ll be, because there’s always going to be something that needs to be done around the house. I just ordered this time cube to help with work time-management. It seems super simple, but even if you set it for 30 minutes and only focus on the actual work that needs to be done, you’ll most likely be much more productive than if you weren’t focused on a set time. Try to knock out as much as possible when you start your day because things always come up, and you don’t want to be stuck with a long to-do list at the end of the day! 5. I’ve been loving the pearl jeans/sweats/sweaters you both have been rocking lately, but was wondering how you clean them!? I would be too afraid to throw them in the wash, even on delicate, but also wouldn’t love going to the dry cleaner to get them cleaned every time. Do you have any secrets? Meggan: I honestly haven’t washed mine yet (I have these jeans & these sweats) but they both say to machine wash. I’ll probably turn them inside out and wash on delicate. Or I’ll just dry clean them every once in awhile. I try not to wash my jeans that often anyway! Brooke: I’m a big believer in dry cleaning. I know it’s a pain and it’s more expensive, but I’ve accidentally washed a few things I would normally dry clean recently and I swear the clothes look 10x’s more worn and 5 years older :(. I don’t dry clean after every single wear, just when they actually need it! Dry cleaning is the secret to keeping your clothes looking brand new, so for me it’s worth it (especially for more expensive pieces). If you’re set on washing them yourself, turn everything inside out and put it in a bag like this one before throwing it in the wash. This will keep your delicate pieces protected. 6. My best friend and I do an ornament exchange and fancy dinner every Christmas (a couple days before or after) and I’m looking for a cocktail dress, velvet, $100 or less. Bonus points if it has sleeves as I’m traveling home to Buffalo! Help! That’s such a fun tradition! We’re loving the velvet trend and have been seeing so many cute dresses it’s hard to narrow down but we love this one (so pretty and 50% off! ), this one, and this one. Pearl heels would look fab with a velvet cocktail dress! 7. How do you two open up to your husbands about your anxiety? Anytime I’ve opened up to my boyfriend he is super understanding and sweet, but I tend to bottle up when I’m anxious and not tell anyone/pretend like I’m strong all the time. Any tips? Meggan: Girl, I get the same way sometimes too! Kyle also has anxiety so he’s familiar with how I feel (he said he didn’t have it until he met me LOL guess I rubbed off on him). I always tell him when my anxiety is really bad and sometimes just need to go lay down and try to relax and breath. I think it’s okay to not be strong all the time! Anxiety can be crippling at times and if you are feeling anxious take some time for yourself. I guess I don’t really have any tips because I can get the same way except to take time for yourself and remember you don’t have to be “on” all the time. Brooke: We’ve been married for 6 years now, so I pretty much tell my husband everything (a blessing and a curse lol), and I’m never shy about how I’m feeling. He knows if I’m anxious, stressed, mad, sad, happy…whatever it is, he knows. I have a hard time talking to anyone else about it, though, so I totally understand how you feel. For me, I feel so much better when I can talk about it, so try not to bottle it up…for your own physical and mental health. If you feel like you don’t want to talk to him about it, try writing down how you feel in a journal or just speaking it out loud when you’re alone. If you want someone anonymous to talk to, there’s also this number. It might seem intimidating or dramatic, but it’s worth a call, there’s no worse feeling than bottling up your emotions. 8. I have my 10 year reunion coming up the day after Thanksgiving (so crazy)! And I have no idea what to wear! It’s taking place at a restaurant that isn’t super fancy or anything. I live in Oregon so it’s pretty chilly outside by that time. It was recently our 10 year reunions too…where is the time going?! It feels like we were in high school only a couple years ago lol. This cardigan jacket would be cute with a top (love this one), ripped jeans (these are my all time fav), and booties. Or you could do a sweater dress like this one with over-the-knee boots! 9. I cannot believe Christmas is next month!! I always struggle what to get my boyfriend and I want to plan ahead this year so I am not scrambling (as usual) lol. What do you think?! We totally understand! We’ll be putting together a gift guide ‘for him,’ but some ideas we’re loving: this pajama set, this smart speaker, slippers, a cozy/nice zip up, a new phone case (love this! ), a grooming set, or a new wallet. 10. Any everyday leggings recommendations? I prefer ones that are not see through, high waist, $50 or less. I bought the raved about Zella’s and like them but they’re already pilling and at at $50/pair, I just expected better than that! Meggan: That’s a bummer about the Zella leggings – I’ve had mine since last Christmas and they haven’t pilled. If you got them from Nordstrom, I would definitely bring them back! I have a pair of Lolë leggings (these) and love them! I’ve washed them a bunch and they haven’t lost their quality or pilled. I bet their regular leggings are great too! Brooke: I like Zella, but I’ve found some of mine hold up better than others, so I get it! These have over 1,500 rave reviews and are only $36! I love this pair, and this pair is currently 55% off – such a great deal, great reviews also! 11. 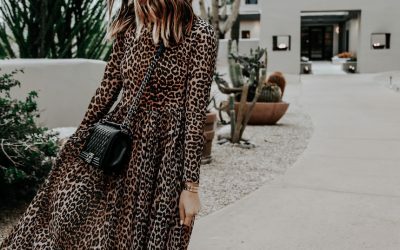 You have been posting some really cute finds from Shein recently. Wanted to know if you have any tips on how to navigate through the endless inventory to find the good stuff?! Also, any sizing recommendations? We look for pieces that have a lot of (positive) reviews – that is the number one way to find the good stuff. If you buy something without reviews, you have to understand, you’re taking a risk (a cheap risk though, lol). Also, the sizing runs differently on every.single.item. You absolutely have to check the size chart on every single item (even if it looks the exact same), because it’s all different. We’ve had some pieces that didn’t work out, but for the most part we get lucky because we follow those guidelines! 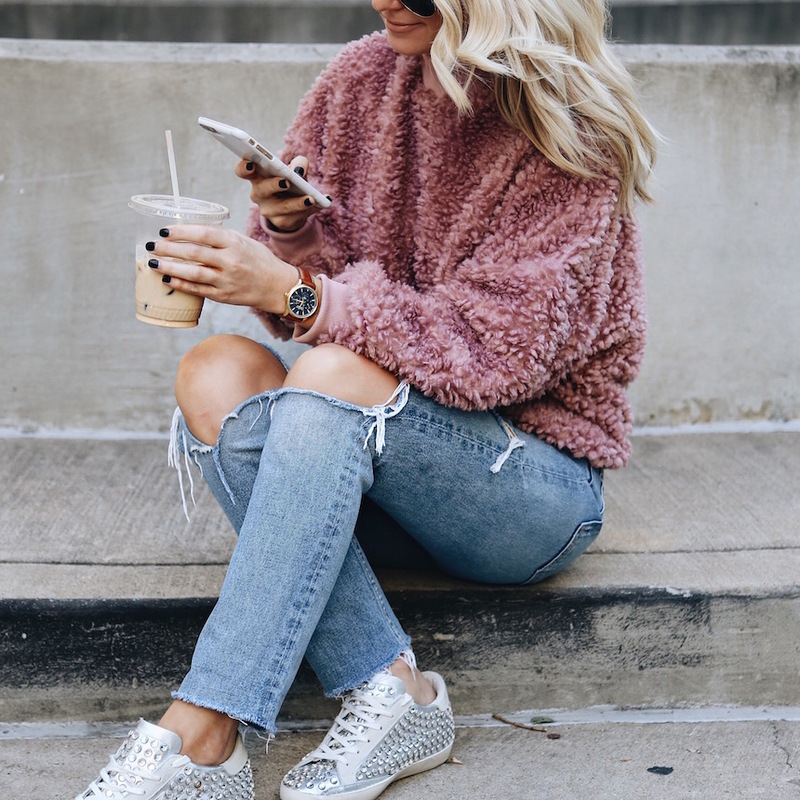 Our current faves: Gucci loafer dupes (amazing – I’m a 7.5-8 and ordered a 39), pearl sweats (true to size), and this sweater (one size). 12. I am desperate for some direction on a cute winter coat perfect for midwest weather, less $200, and a little bit sportier (by sporty I mean I can still wear it with sweats/leggings and not look crazy) while still being able to dress it up with a nice outfit. This coat is cute and it just got marked down 55% off! Also loving this one and this one! Stay warm! 13. 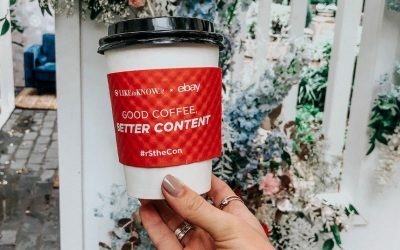 What are some of your favorite Etsy shops for holiday gifts/gift inspo this year? Meggan: I’m not a big Etsy shopper but I got this chunky knit blanket for Christmas last year and I love it (her shop has some other knits too)! I’ve also ordered a large initial necklace from this shop which would be a cute gift idea! Brooke: I hardly buy things from Etsy (love it for rugs, though! ), but my mom bought me a mug from this shop – such a cute store! It used to be on Etsy, and I can’t tell if it still is or not (looks like they have a new site, so not sure if it’s still actually an Etsy shop, but super cute stuff either way!). I’ve gotten a few gifts from this shop and have been really happy with the quality. And I’m obsessed with Meggan’s chunky blanket, want one! 14. I’m set to graduate in May of 2018, and I wanted to know your guy’s thoughts on class rings? Do either of you guys have one? And if you do not do you have any alternatives or suggestion of what to get? I am torn between ordering a class ring or getting something designer, would love your thoughts! Brooke: I don’t have one either. I’ve seen some really cool class rings that are a simple band with roman numerals on them for the graduation date, which is probably what I would choose if I were going to get one! If it’s something you really want, you should get one! Meggan: I don’t have a class ring but it wasn’t really a big thing at Iowa. I would get something timeless that you won’t get sick of. This band is pretty and you can put your graduation date on the inside of the band! 15. Wondering what I need to do to get my closet up to par. I’ve had two babies back to back and I feel like I haven’t shopped in forever. Everything is either maternity or prebaby which isn’t too trendy. My closet needs a complete overhaul. I’m feeling lost. Looking for direction on how to build a wardrobe and not to just go buy an outfit every time I need something. We agree – building a base wardrobe is key, and you can always add in any trendy pieces you love each season. I saw this on pinterest, and it’s probably the best ‘capsule wardrobe’ I’ve ever seen! We would totally recommend using this as a guide. If you need suggestions for specific pieces, we love: this moto jacket, this cardigan, this tee, these jeans, and these boots. 16. I’m heading to Canada in January and looking for a cute pair of snow boots. I like the style of the Sorel but they all seem very chunky/heavy. Any suggestions? Most waterproof snow boots are going to be heavy (uhg), but some options were loving that may not be so bulky: here, here (ok, we love Moon Boots! ), here (these look more lightweight), and here (OMG these are so cute!). Have so much fun! 17. Last year I really wanted the Jefferey Campbell Everly bootie but they were sold out everywhere and I haven’t been able to find them since. Do you know of any good look-alikes? This pair is really similar! Also loving this pair and this pair! 18. Just wondering if you guys use essential oil diffusers at all? Or have any recommendations for semi-stylish looking ones? We don’t, but we found some pretty ones: here, here, and here! 19. 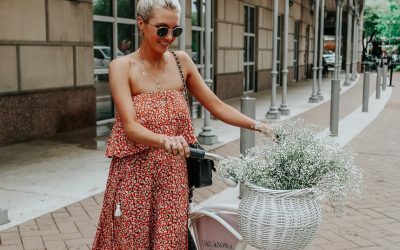 How you you suggest styling a black strapless jumpsuit (similar to this) for a wedding in Chicago next weekend? We would suggest wearing it as is, and do a statement earring (like this or this) with it and either pointed pumps or strappy sandals (depending on the temps). Obviously you’ll probably need to wear a coat to the wedding, but once inside, we would go sleeveless b/c it’s so cute and a jacket would totally change the look. 20. Do you guys have a coupon code for TULA? I thought I saw you post one on Instastories, but I forgot to screenshot. 21. Meggan – loved your bodysuit you wore last night but it’s sold out. Do you have any similar other favorites? Ugh shoot! This one is super cute and I’m obsessssed with this one (it’s been sitting in my cart, I just need to order)! I’m already trying to figure out my outfit for Christmas because I want it to be cute (but not too fancy). I either want to wear a dress or a romper because I’ll be celebrating in Miami so I don’t need anything too warm. Any suggestions? I’ve been struggling and you girls always have the best suggestions! Christmas is right around the corner and I’m looking at making a cute little basket for my boyfriend I only have a yeti in mind so far… do you have anything in mind that is kind of small like the yeti that I could put in a basket? 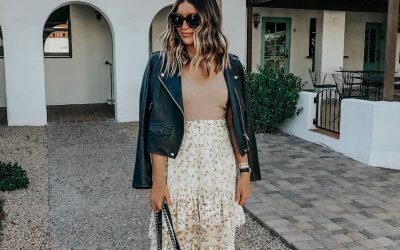 Where is the sweater you are wearing in the photo from? I am pregnant with baby #2 and I wanted to get a good diaper bag because I never got one the first time around. Do you have any reccemendations? Do you ladies have any thoughts on eloping? The stress and expense of planning a wedding for a bunch of extended family we rarely ever see is making us think otherwise. My fiance and I are both pretty reserved people and pretty practical. We considered going away just the two of us to get married and having a small immediate family dinner once we are back. It is a hard choice to make! We just can see thousands of dollars going to something more important. like a house! What are your thoughts/have either of you considered eloping?